1. 4 v 4 1/2 ice with goalie, jamboree format. 4. Three 10 minute periods continuous clock with line changes signaled every 60 seconds. 5. Rosters must have a least the minimum number of players (5) listed before being accepted into the tournament. Players may appear on only one roster. Divisions are coed. 6. No refunds will be issued due to cancellation by weather or team withdrawal after the early deadline. 7. No spectator/gate fee charged. 8. Parking fees – Parking passes will be mailed to your club manager for use during Net Fest Hockey. Otherwise, Wells Fargo Arena lot rates are $7 per vehicle with no in/out privileges. USA Hockey rules will apply. Coaches must be certified by USA Hockey. Mite divisions will be refereed by the coaches of the playing teams. 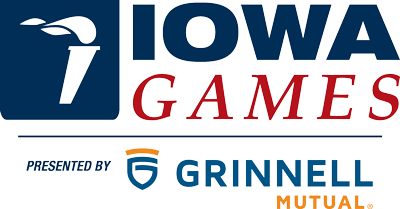 Schedules and a map will be posted on the Iowa Games Web site by November 2, 2018. NO SCHEDULES WILL BE MAILED! All players receive 2 Iowa Wild tickets to the game on Saturday, November 10. All players receive opportunity to walk in the parade of athletes during the Iowa Wild Game on November 10. All players will receive an award. 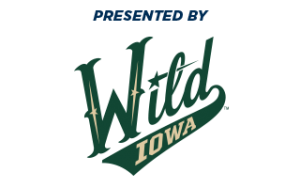 All players receive 2 tickets to the Iowa Wild game on Saturday, November 10. Additional tickets are available for $10/ticket. Click Here to Purchase. Deadline to order is through November 7. Tickets will be included in your team’s packet at check in on Saturday, November 10. Click here to view the 2018 Net Fest Hockey Schedule. Iowa Wild Tickets for Saturday, November 10: All players will receive 2 tickets. Extra tickets may be purchased during registration for $10/ticket. To purchase additional extra tickets CLICK HERE. Online only: Wednesday, October 24, 11:59 p.m.
Mites – Up to 9 players can appear on the roster for the entry fee. Players may appear on only one roster, and can play on only one team. Teams must submit player’s jersey numbers during online registration or email by November 7 to matt.beatty@iowagames.org. The Iowa Games began in August of 1987 as a weekend event, featuring 16 sports and 7,104 participants. (nearly a record number at that time for a first-year state games).